You know how they say that you and your partner sort of become "one" once you get married? Well Chris and I are beyond that. We like the same movies. The same snacks. The same TV shows. Before I even make something, I know if he will or won't like it. And we also both learned to love things that we didn't love before solely because the other person is a fan. In my case: key limes. It's not that I didn't like them before; I just rarely had them. I never would have ordered a key lime dessert off of a dinner menu before I met Chris, but now it's one of my go-to sweet treats. 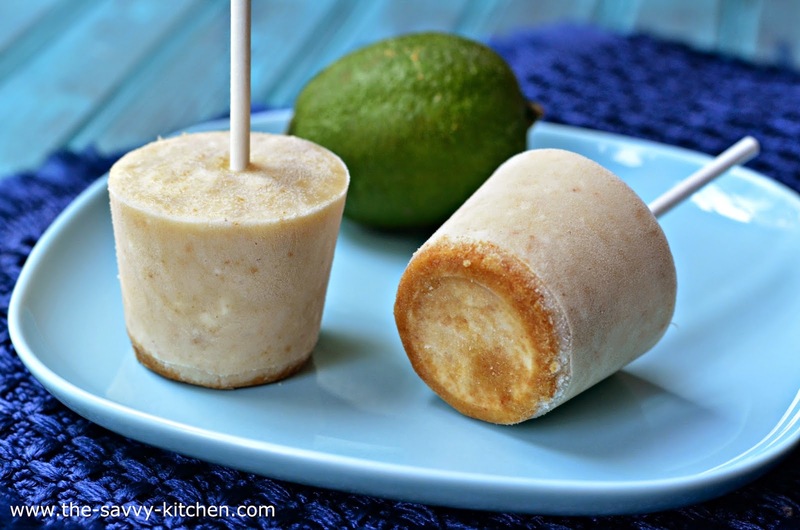 So as soon as I saw that Mary Anne and Mariel from Feast on the Cheap had a recipe for Key Lime Pie POPSICLES, I knew what my Secret Recipe Club post was going to be. One thing I absolutely love about Feast on the Cheap is that it is co-hosted by a mother-daughter team. I love cooking with my mom, so I know how special the duo must be for them. Their website is filled with a ton of amazing recipes, including these refreshing and delicious (and simple!) 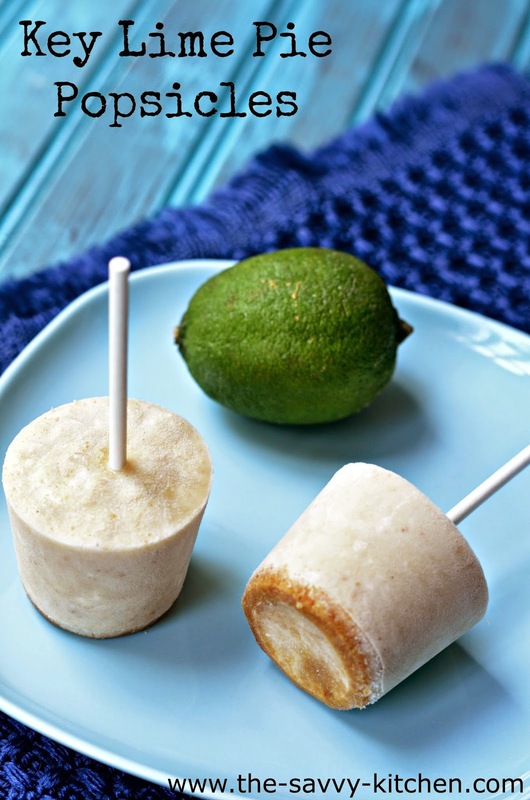 Key Lime Pops, so I highly suggest you going over and checking out their site! These pops were perfect on a hot summer evening and tasted just like a frozen version of my favorite pie. Enjoy! Using an electric or hand mixer, combine the sugar, yogurt, cream cheese, lime juice and all but 2 tbsp. of the graham cracker crumbs on medium-high speed. Blend until smooth and creamy, about 3 minutes. Sprinkle a pinch of the remaining ground graham crackers in the bottom of each Dixie cup, then pour in the filling until about 3/4 full. Poke the popsicle sticks into each cup. Freeze your pops for 2 hours before eating. About an hour in, straighten any sticks that are lopsided. Note: If you’re freezing these overnight, cover the pops with some saran wrap to prevent potent ice box aromas from tainting the flavor of your desserts. Wow, these look wonderful. My daughter (who is leaning over my shoulder) says we have to make these =o) Can't wait! What a refreshing treat for a hot summer day! Thank you for the kind words - I haven't made these in awhile but I need to revisit them. My son would go nuts for them! 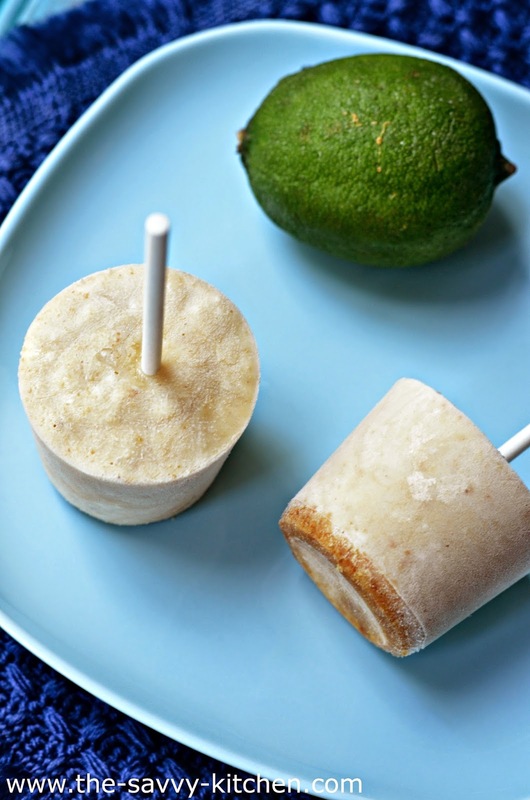 What perfect pops for a warm summer day! Love anything with lime. Great SRC pick! Popsicles!! For the real adult with a child inside. These look fantastic.